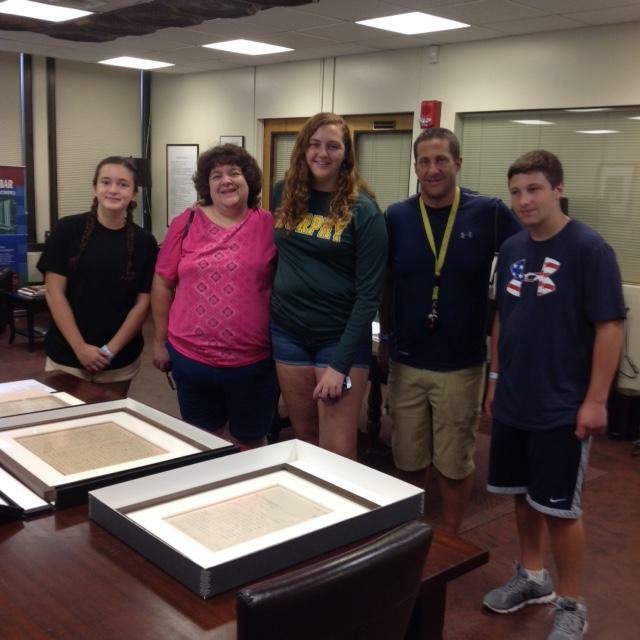 Visitors to Special Collections on Culper Spy Day, September 16, 2017. Celebrate “Culper Spy Day: Our Revolutionary Story” with Special Collections on Saturday, September 15! A collaboration of more than 25 local institutions and organizations, an activity-filled day of community events will highlight the amazing history behind George Washington’s Culper Spy Ring. A ticket is required to access all participating venues. To purchase tickets and read about the activities, please visit the website of the Three Village Historical Society. 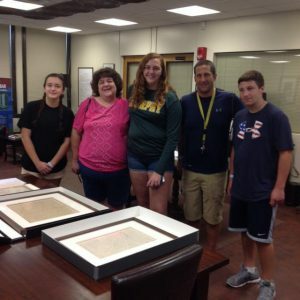 Special Collections will have on view its two George Washington letters from 11am-12pm and 1pm-2pm.